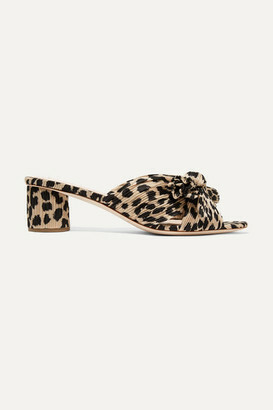 No design goes into our line unless it is comfortable, chic and feels a little bit bold, says Loeffler Randall. These twist-front 'Laurel' mules are made from pale-gold leather that's crinkled so it catches the light. 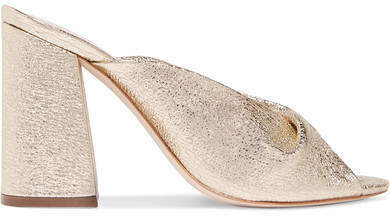 The chunky block heel makes them comfortable enough to wear all evening.